Hearts and flowers ice plant is a well-liked plant that is grown successfully in hot dry climates. It was named ice plant due to the frosted or icy appearance of its leaves. The foliage is covered in tiny hairs that cause the sunshine to reflect and give the plant that unique frosty appearance. An ice plant in bloom. Hearts and flowers (Aptenia cordifolia) ice plant is a perennial that is hardy in USDA Plant Hardiness Zones 9 through 11. 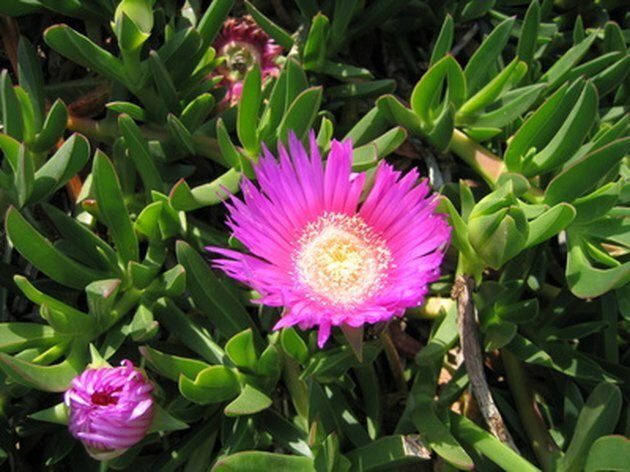 It is also known as the red apple ice plant and baby sun rose. It is a fast-growing succulent plant with shiny bright green heart-shaped foliage that begins blooming in the spring and continues until fall. The flowers range in color from red to a pink/purple. This plant can be grown in a variety of ways. It grows nicely as a ground cover type plant for flower beds. It can also be grown in a container on the patio or deck and is suitable for hanging containers and window boxes as well. Do not overwater hearts and flowers. Allow the soil to dry out completely between waterings. Rainfall should be sufficient throughout the spring and fall. It will need additional water throughout the hot dry summer months to keep the foliage lush and green. 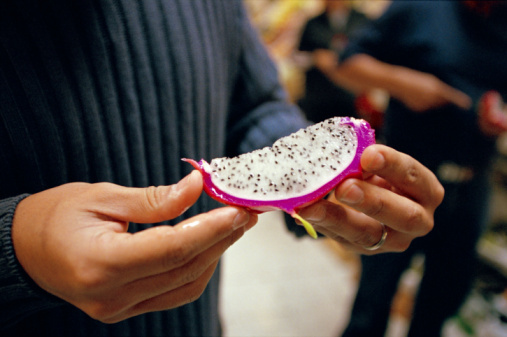 When grown in a container, make sure it has holes in the bottom for drainage and do not allow water to sit in the saucer beneath the container. Hearts and flowers ice plant prefers a sandy soil that drains well with neutral pH. Use a potting medium with good draining properties when growing this plant in a container. Air circulation around the roots is imperative for a healthy ice plant. Check the medium for proper consistency by wetting and squeezing it. A medium with the drainage capabilities required by this plant should crumble apart rather than clump together. Add course sand, pumice grit, fine gravel or perlite to amend the medium. Plant hearts and flowers in a sunny location. They will grow in light shade but will not bloom as profusely. There is no need to fertilize hearts and flowers. They grow best under nutrient-poor conditions. Hearts and flowers plants are propagated from cuttings. Place the cuttings directly in the soil, either in a small pot or even in the flower bed right next to the original plant. They usually root themselves within a few weeks. Trim the plant back if it begins to get too leggy. It will grow back in its original compact form. Reannan Raine worked for 30 years in the non-profit sector in various positions. She recently became a licensed insurance agent but has decided to pursue a writing career instead. Ms. Raine is hoping to have her first novel published soon. 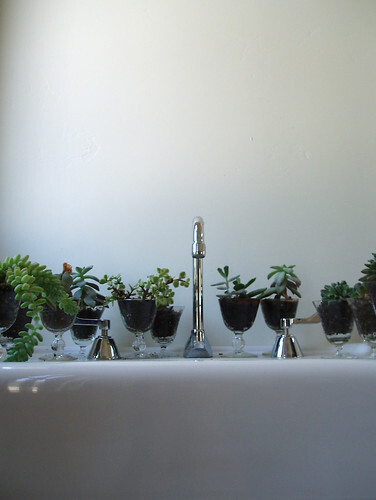 How Much Water Do Ice Plants Need? Is Purslane an Annual or a Perennial?